Atlantic’s Waterscapes line Skimmers come in two sizes. The PS4500 Skimmer with 9″ Weir Door opening is great for ponds and/or water gardens with a surface area up to 600 sq.ft. and a pump flow of 2,000 – 4,000 GPH. In addition to maintaining a beautiful, healthy pond, the Skimmer provides mechanical filtration for outstanding water quality. 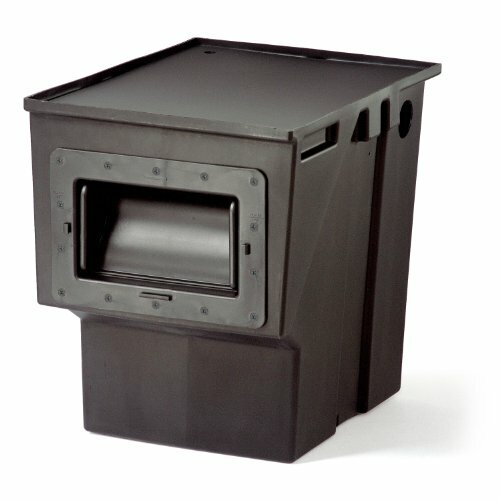 Each Skimmer unit includes removable lid, filter mat and basket and lifetime warranty on the enclosure. max pond area 600 sq. ft.